According to the latest rumors and reports, Nvidia’s Upcoming GeForce GTX 1080 will feature GDDR5X instead of High Bandwidth Memory (HBM2) and will appear on store shelves in late May, just days prior to Computex. 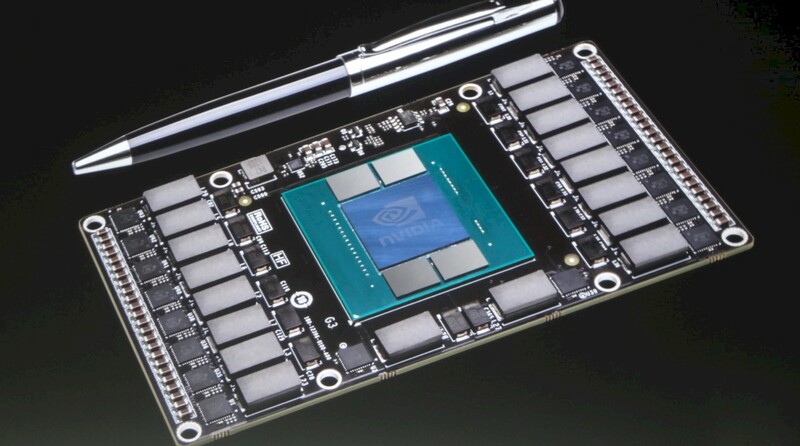 Nvidia’s timing of GeForce GTX 1080 (also known as the 1800) means it will likely miss mass production of HBM2 DRAM modules, forcing Nvidia to either pair the GP104 core with GDDR5X, or potentially delaying the release of the Pascal lineup until the third quarter of 2016. It’s important to note that “X” at the end of GDDR5X, which is a newly developed memory standard for high end graphics cards. GDDR5 currently pushes 7 gbps per min of data, meaning Nvidia’s Pascal lineup would require an ultra wide memory bus (say 384 or more realistically, 512-bit) to push enough data to feed the GP104 core. GDDR5X doubles this to 14 gbps, which is why the GeForce GTX 1080 / GeForce GTX 1800 is running on just a 256-bit memory bus. Nvidia will likely have done a lot of internal testing to ensure that their decision won’t starve the GP104’s core of memory bandwidth. While we don’t have sufficient details to performance an in-depth analysis, given the performance per watt of the GTX 980 versus its own memory bandwidth, GDDR5X memory should provide enough grunt to keep the GTX 1080’s shaders fed. 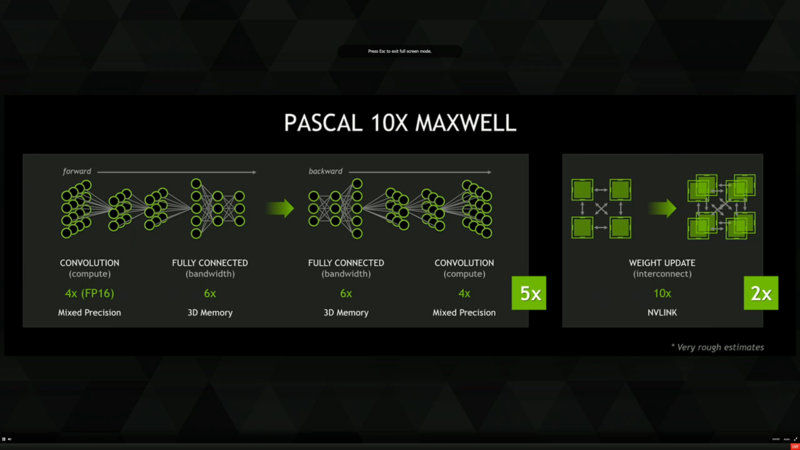 Combine this with Pascal’s 16nm FinFet process and the reports hint the GTX 1080 / 1800 will not exceed more than 225W of power, hinted by the inclusion of just a single 8 pin power connector. For those who’ve not been following along with recent GPU news, both Nvidia and AMD (with their Polaris architecture) are claiming improvements of 2x per watt over their respective generation of graphics cards. For other information, the GeForce GTX 1080 / GTX 1800 will sport the usual HDMI and DVI ports, coupled with 2x DisplayPorts for typical multi-monitor configurations. The rumor-mill hints the GeForce GTX 1070 will also appear in much the same time frame. There’s a good chance we’ll see a similar performance gap between the 1070 and 1080 as we have in the past for such GPU’s as the GTX 970 vs the GTX 980, with the cores being a cut down configuration of their bigger brothers. So what about High Bandwidth Memory 2, why isn’t Nvidia using it for the GTX 1080 or GTX 1070? Well, that will be reserved for the GP100 (the so called “Big Pascal” – or the Titan X replacement, if you prefer) card which will appear likely in the third or fourth quarter (when HBM2 shipments are plentiful). The GP100 is reported to have two variants, one aimed at gamer’s and the average customers, which will feature up to 16GB HBM2 (four 4-Hi stacks) and there will also be professional level HPC cards packing an an eye watering 32GB HBM2 (four 8-Hi stacks). 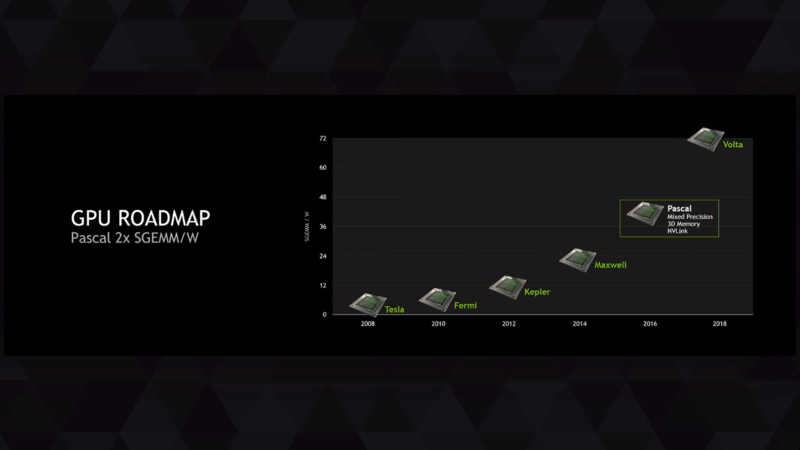 For a quick recap of other details known about Nvidia’s flagship GP100 specifications; it will feature twice the performance per watt over Maxwell and cram an impressive 17 billion transistors on the die, twice the number found in GM200. Nvidia have also gone on record to say that the GPU will be the first to support half precision (FP16) compute at twice the rate of full precision FP32. This means for tasks which don’t require such high degrees of accuracy, FP16 can be used for a massive boost in performance. If you’ve managed to make your way through these 500 or so words of text and are left wondering how the GTX 1080 (or whatever the GP104 ends up being called) will stack up against AMD’s Polaris range of video cards, you’re not alone. On paper, a lot of the specs of both companies are pretty similar (transistor counts and claims of performance per watt) but how this plays out in reality is difficult to know until we’re left with review units – and of course a few driver revisions to squeeze the best performance out of both cards. 2015 was a fairly mundane and quiet year in the graphics cards market, and while AMD’s Fury lineup did introduce High Bandwidth Memory, the VRAM restrictions of HBM1 were pretty evident. In 2016, thanks to DirectX 12, Vulkan and the emergence of Virtual Reality (and the rise of higher resolution monitors) the need for more powerful graphics cards is certainly there and both companies are scrambling to meet customer demand. From a personal standpoint, I feel the launch of both the Pascal and Polaris range of cards is one of the most exciting in sometime – especially since we’ve been ‘stuck’ on 28nm for quite sometime now. After all of the talking, rumors, presentation and hints from both team red and team green it’ll be most interesting if either company can live up to the hype and expectations PC gamers have for their products. Tagged with DirectX 12, gaming, geforce, gtx, nvidia, pascal, PC gaming, polaris, vulkan.